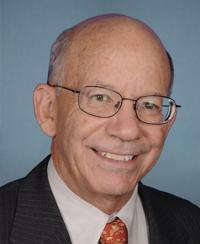 The Democrat takeover of the House has created a new political dynamic, making incoming Transportation Committee Chairman Rep. Peter DeFazio perhaps the most powerful person to shape federal transportation policy. The Oregon Democrat — who has been in Congress since 1987 — been one of the leading progressives on issues such as holding designers accountable for unsafe streets and promoting increased protection for women on public transit. Angie Schmitt: I’ve been covering infrastructure bills for a long time. We’re really interested in what might be the outcome of a new push. Peter DeFazio: Everything else we’ve done [past infrastructure bills] has really been iterations of what we’ve been doing since the ’60s, so I’m looking at major new policy initiatives as we go forward. Transportation is, depending on what you read, the first or second largest [carbon] emitter. We need to move beyond the fossil fuel transportation system. If we’re going to electrify the system, we need a breakthrough in the battery technology to do it really efficiently, to begin to build the backbone for an electrified transportation system. I think we need to do a public infrastructure [adding electric vehicle charging stations across the country] or incentivizing the states to do electrification infrastructure. Do you think there’s a prospect for improving funding for walking, biking and transit? What are your goals around that? I think one of the greatest things we did was Safe Routes to School [which provides states with money to help school districts promote safe biking and walking to school]. So I want to go back to at least to where we were previously at least with SAFETEA-LU [the 2005 Transportation bill], especially with Safe Routes to Schools and alternate modes [where biking and walking were funded at higher levels and the money couldn’t be transferred to highway spending]. They [Republicans] hate the word “livability” or “complete streets” or “appropriate design.” But we’re going to do all those things. They don’t like the names, they can come up with different names. But we’re going do those things. I think there are enough Republicans who will go along with those things that we’ll be able to get it done. What about the 80 percent-20-percent split for highways and transit funding with the Highway Trust Fund, which is about $50 billion a year, first passed under Reagan? Do you imagine there will be any changes to that? I do not want to diminish the transit split. We had a knock-down-drag-out [fight] over transit during SAFETEA-LU. We won, and I don’t intend to revisit and diminish that split. This administration proposed two things: they proposed massive shift in responsibility to local or state jurisdictions. They also proposed funding their so-called increase with a massive cut in transit and rail and other modes. No, we’re not going there. I know that you’re very motivated to do an infrastructure bill. Are there are certain things that are just not negotiable right from the start? If it’s a pretend plan like the one from the president last year, like something that doesn’t have new real federal investment, that’s a nonstarter. There has to be some real investment. I have delivered that message many times at the White House and there is some recognition that they understand that. Since 1993, we haven’t raised the gas tax. Transit at now I think up to a $106 billion price tag to bring it to a state of good repair. Why is that important? Well, we kill people because of disrepair. Beyond that, more and more people abandoned transit as it becomes less and less reliable. If we could bring existing transit up to a state of good repair, you have a dependable schedule, you know that the bus is going to be there, you know that Metro’s gonna be there, you’re not going to get stuck out in the ‘burbs and have to take a bus. If people can get to work on time, more and more people will gravitate toward transit. Do you think there’s an opportunity to get more money for walking and biking? We lost a couple of billion dollars out of alternative modes in the FAST Act, as I recall. And they also made those modes optional to the states [meaning states could transfer half the money to other things]. I would go back to having that be a separate category. If you want that money, that’s where you spend that money, not have it diverted to highway or something else. It depends upon how much money [Ways and Means Committee Chairman] Rick Neal can get me. If he can get me all the money I need to bring the existing system up to a state of good repair, begin to build new transit options for people, begin to build out a backbone for electric vehicles and get me more money for alternate modes, I’ll do it. But ultimately it’s going to be up to him to come up with the funding. I’ve proposed indexing the gas tax [against inflation] and bonding [against future revenues], but our committee can’t do it. It’s not our jurisdiction. Smart Growth America just had this big report showing how much pedestrian fatalities have increased. Fatality rates for drivers and passengers have leveled off. But they’ve increased tremendously for pedestrians. Do you think an infrastructure bill would address that? We certainly need to hold a hearing and investigate what the causes are. [Editor’s note: The causes are drivers making longer trips in increasingly larger vehicles.] I don’t know. … I would certainly want to make available through the Alternative Modes program money for enhancing pedestrian safety. I am concerned about the proliferation of these scooters. I haven’t seen any statistics on them, but people on those are very vulnerable. Especially since they mostly aren’t wearing helmets. There are new and growing areas were going to have to deal with let alone the existing pedestrians and cyclists. The Oregon Democrat says House Democrats will restore sanity to transportation policy. Watch out: The leader of the House Transportation and Infrastructure Committee is making a push for an infrastructure spending spree, even though the current federal transportation funding law doesn't expire for several years. Advocates will have to guard against a new road-building binge.